Scott is originally from Cooperstown, NY and attended Oneonta State College where he majored in Criminal Justice and played shortstop for the SUNY Oneonta baseball team for 4 years. He was a 2-year captain and was named All Conference as a shortstop in 2008 and 2009. In 2010, he helped lead the Red Dragons to their first NCAA Regional Tournament in school history. Dubben spent 1 year as an assistant coach at Oneonta State and was signed by the New York Federals (Canadian-American Professional Baseball League) after that season. He spent this past year as a Baseball Instructor and Coach at USA Training Centers in Portsmouth, NH. Scott was the head coach of the 13U USA Mavericks AAU baseball team. Andresen played collegiate baseball at SUNY Oneonta where he was a dominating left handed pitcher and Captain. During his first two years at Oneonta, Corey primarily was a middle reliever/closer. During his junior season, he made the transition over to starting pitcher where he saw a lot of success. Corey was a key contributor when Oneonta State made it to their first NCAA appearance in school history during the 2010 season. Corey’s senior year was cut short due to an elbow injury in which he tore his UCL (Tommy John Injury) in early spring of 2012. He was selected to the SUNYAC All-Academic Team in 2011 and 2012. He graduated from SUNY Oneonta in 2012 with a Bachelor’s of Science in Childhood Education. Jordan is a 2006 graduate of Dover High School. He attended the University of New Hampshire, where he was a 2-year member of the UNH Club Baseball program and graduated with a Bachelor's Degree in Sport Studies in 2010. While in college and after graduation, Jordan coached Reserve Baseball at Dover High School and was the Head Coach of Dover Post 8 Junior Legion. In 2011 he was hired by Florida International University as Graduate Assistant of Recreation Facilities, responsible for the day-to-day operations of the student recreation center. He also earned a Master's Degree in Recreation and Sport Management from FIU. 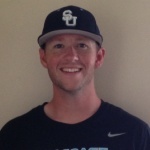 Jordan currently coaches the 10U South and 17U Showcase Pirates club teams. A native of South Berwick, ME, Jake is a graduate of Marshwood High School and played collegiate baseball at Thomas College where he was a hard throwing right handed starting pitcher. During his freshman season at Thomas he was primarily a spot starter/closer and also used as a utility fielder. During his sophomore season, he became a top of the rotation starter and finished 3rd in the conference in ERA and 2nd in wins. His junior year he helped lead the team to a school record 31-14 overall record and a 19-5 conference record with a 2nd place finish in the conference tournament. Jake's senior season he was nominated as captain as he was a leader on and off the field for the underclassmen. Jake graduated in 2013 with a BS in Sports Management and a minor in Marketing. 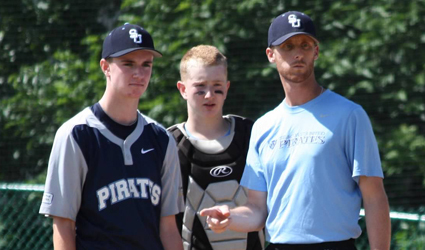 Jake went on to be a JV baseball assistant coach at Marshwood High School during the spring 2014 and 2015 seasons. He also worked with the Varsity pitching staff. 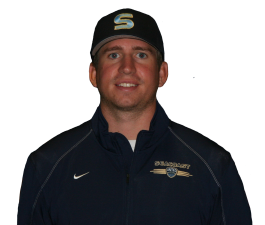 Currently, Jake is coaching the 11U Gold and 16U Showcase teams.